Confused about where to start when costing your British-made product? 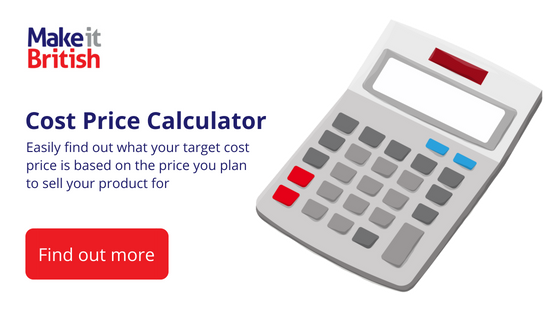 Our easy cost price calculator can help you work it out. One of the biggest issues I see with businesses launching a British-made product is not building in enough margin to wholesale. The typical newbie usually does something like this…the manufacturer gives you a cost price and you double it. You put your product on sale and everyone loves it. You then get a store saying that they want to stock your product, but obviously they want to sell it at the same price that you do. Bang goes your profit! So it’s always best to set the right retail price to start with. One that allows you enough margin should you want to wholesale further down the line. Which means flipping everything on its head and working back from your target retail price to find your ideal cost price. 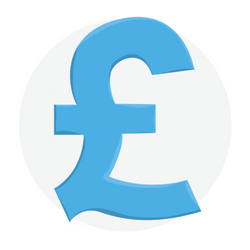 Once you’ve determined your ideal cost price then that’s the time to approach manufacturers. If they can’t make the product for the price you need you either need to strip out something from the design or rethink your selling price. Word of warning: It’s always easy to put your prices down, but practically impossible to put them up. So never start out with a target retail price that is too low! If all this talk of cost price, retail price and margin is making your head hurt, then don’t worry, we’ve devised a tool to help make it easy. 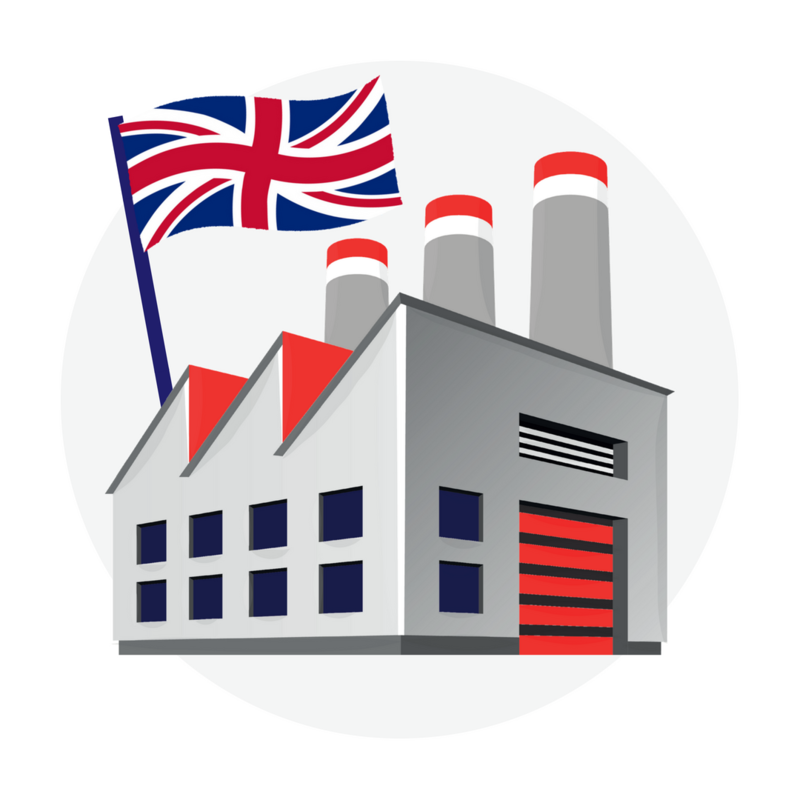 Our cost price calculator will help you plan out the costing for your British-made product. 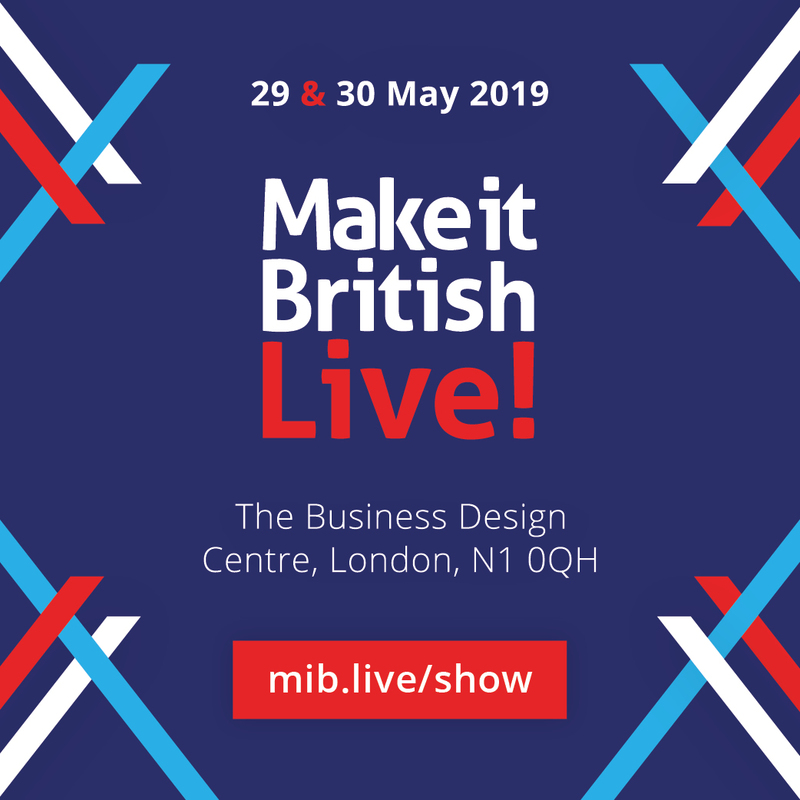 Have you got a good idea of what similar products are retailing for and how much your customer will be prepared to pay? Sell too high and you many not attract customers, too low and you may struggle to cover your costs and lose customer confidence in the quality of your product. So don’t miss out this step as it’s important. This is your ideal selling price based on the market research that you’ve done in step one. 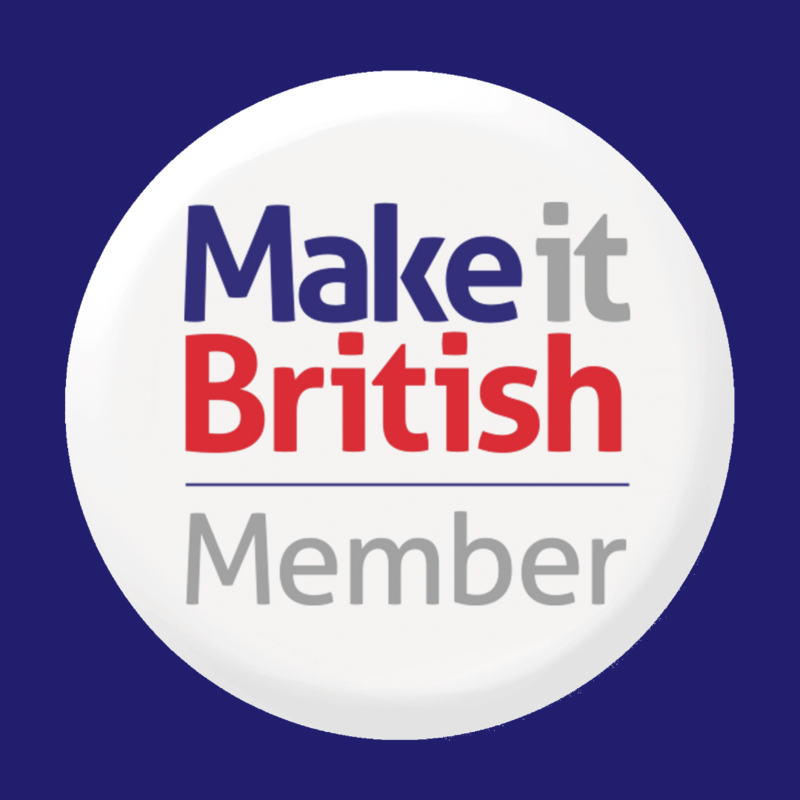 Don’t set it too low, you may find that your customer is willing to pay a premium for a British-made product. This is how much you want to make to cover your own overheads and to make yourself some profit. If you’re unsure, 100% is a good target to build in a good profit margin and cover your overheads. How much a retailer marks up your product from the wholesale price to get their selling price can vary based on product type, and a number of other factors. Generally ‘double the wholesale price and add VAT’ is a good indicator for traditional retail stores. If you have a certain retailer that you’re targeting it’s worth researching what their mark-up is on your type of product. This the total amount you will have to produce your product. The cost price needs to cover all production costs, for example materials, manufacturing and packaging. Having this information to hand when you approach a factory will help you negotiate and develop your product with them. 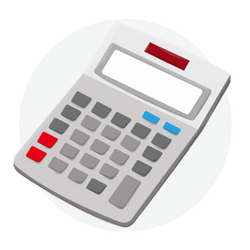 Our calculator will tell you the gross profit (before overheads) that you could make on each product. This is the price you sell the product at, to the retailer. Getting the wholesale price correct will ensure they make their profit and you keep yours.